Your donations help touch the lives of many in our community. 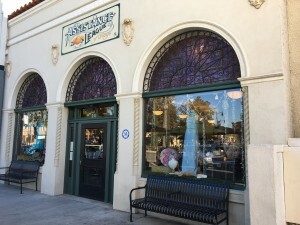 Our Thrift Shop is located in the Old Towne District of Orange, right on the Plaza in a historic, restored building which is full of charm. The Shop is full of boutique items, clothing, books, housewares, jewelry, collectables, toys, linens, and seasonal décor. You never know what treasures you will find. After a visit to our shop you can stroll among many boutiques, antique stores and wonderful restaurants only a few feet away. Your purchases help fund our Philanthropic Programs. 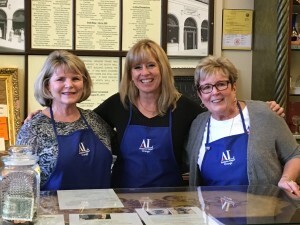 The Shop is staffed and managed entirely by our member volunteers. 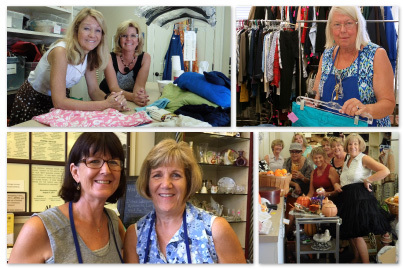 We are proud of our reputation as one of the best and friendliest thrift shops in Orange. Our members work hard to make sure the merchandise is always good quality, clean and priced fairly. Come see for yourself! We welcome your donations! 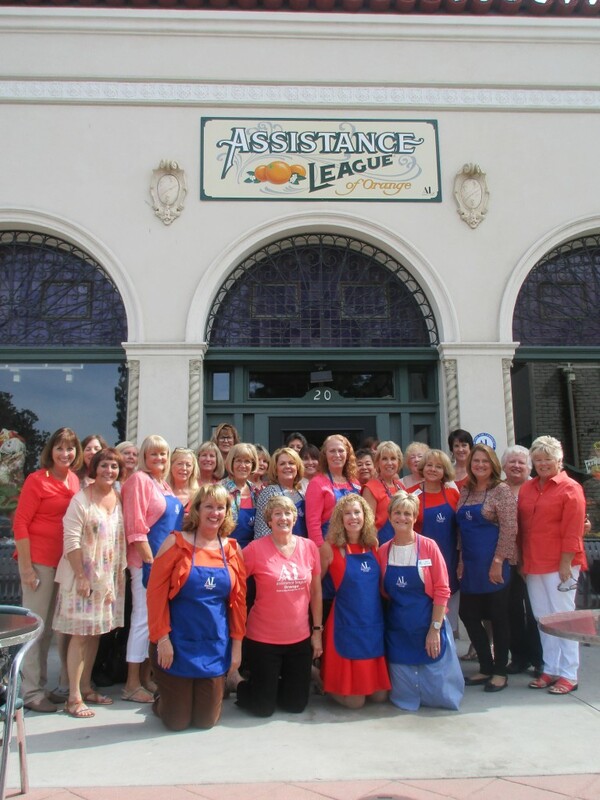 Our weekly Thrift Shop Newsletter keeps you informed of sales, promotions, new inventory and special events at Assistance League of Orange. 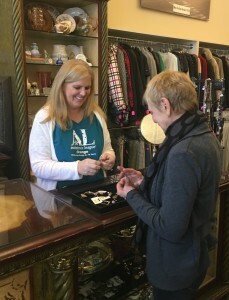 Our customers find great items! Our members work hard to sort, clean and price donations. Your donations are always appreciated! Donations are tax deductible and a receipt will be provided. We offer a wide range of products, including designer goods available in our boutique section, collectibles, art for sale, and a large selection of used books. Vintage collectibles – Antiques – China, Crystal and Silver – Rare Books & Popular Novels – Art – Boutique Clothing for men and women – Small Appliances – Linens – Toys – Housewares and more! Due to the size of our store we do not accept furniture. ** Please do not leave items outside when we are closed. Unfortunately, we do not have a pick up service. Donations accepted only during our store hours. Please bring your “gently used” items to the Chapter House gate located to the right of the Thrift Shop entrance and around the building—accessible through the public parking lot. The parking lot may have limited parking. Call us at (714) 532-5805 when dropping off your items and one of our friendly volunteers will assist you.